There are plenty of reasons why a tooth may hurt. When this happens, the best thing you can do is to call your dentist in Nottingham as soon as possible to determine the reason why and get treatment started quickly. However, there are a few ways you can try to narrow down the cause of your tooth pain at home. Check out some of the most common symptoms and potential explanations to the most common causes of tooth pain. Possible Cause: This type of jaw or tooth pain is typically a result of chronically clenching or grinding teeth (bruxism). The constant friction between teeth can wear away tooth enamel and leave your teeth feeling sensitive. 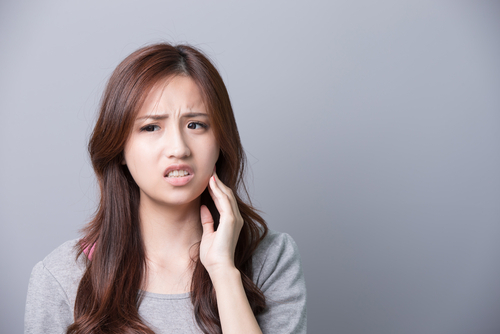 What’s more common, however, is the jaw pain associated with grinding. Grinding may also contribute to severe headaches or sinus pain. Your Nottingham dentist should be able to identify if grinding is a problem for you and recommend the appropriate treatment. Most of the time, a custom nightguard is the go-to solution. Looking for a caring dental team to help? Give our dental office in Nottingham a call to schedule an appointment today. We’re always happy to help!